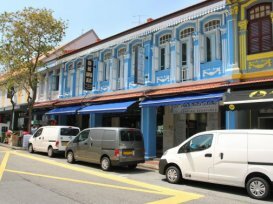 Pan Pacific Van & Truck Leasing Pte Ltd offers a hassle-free commercial rental and leasing service at competitive rates. They have their own workshop to ensure that their fleet of vehicles is always well maintained and in tiptop condition before leasing or renting out to their customers. A wide variety of vehicles available for rent and lease, coupled with their group of friendly staffs, your rental and leasing experience with them will definitely be an enjoyable one. Hi Pan Pacific Leasing Staff..